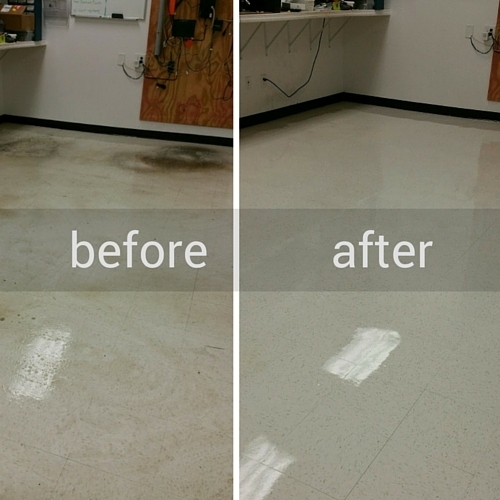 We were called into a local Cell Phone Repair shop to give some much needed attention to these Vinyl Tiles. Kent and his crew buffed, stripped, cleaned and put 4-5 coats of premium wax down. As you can tell from the photo above, those stains are due to years of oil, dirt and plastic wearing down on the VCT. But with our proper and detailed process we were able to remove all of the stains and restore the shine and beauty back into the floors!